CLOSED. 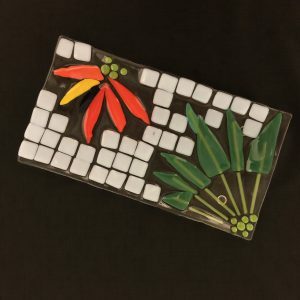 In just 2 hours you can design 6 beautiful and unique glass pendants! We will guide you through the design process and provide all the materials and tools needed for your exquisite jewelry pieces. These pieces will be fired and picked up at a later. Prior glass cutting experience is not required. 16+ yrs. Class fee of $35 includes materials. Advance registration is required. Register with or without PAYPAL. FOR YOUR SAFETY, CLOSED-TOE SHOES ARE REQUIRED IN THE CLASSROOM. 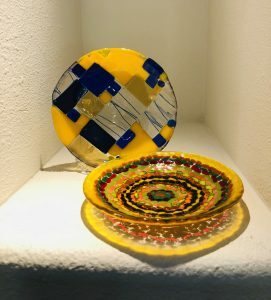 In this fun workshop you will design a one-of-a-kind candy dish. You will be guided in designing and preparing your work of art. We will take care of the firing and slumping process for you. All materials and tools provided. Prior glass cutting experience not required. 16+ yrs. old Class fee: $48. For your safety, open toe shoes are not permitted in the classroom. 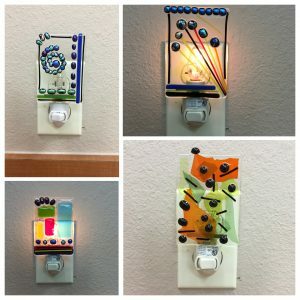 In this fun workshop, you will make a unique fused glass night light. We will guide you in preparing the panel for the night light which will be fired and picked up later. All materials are provided including the night lights and bulbs. Class duration: 1 hour Class fee: $20, each. Advance registration required. For your safety, closed-toe shoes are required in the classroom. 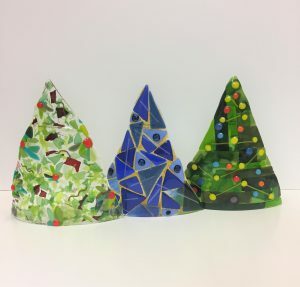 This fused glass votive will surely add to your Christmas decor. Create it in just 2-hours! 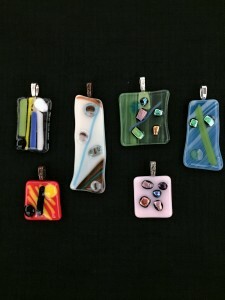 We will guide you in designing and preparing a beautiful piece of glass and also take care of the firing process. For your safety, open toe shoes are not allowed in the classroom. Advance registration required. Space is limited. 16+ years old.